RUSH: Holy cow, folks. Did Beto O’Rourke sandbag everybody over the weekend, including the Democrats. What a huge sandbag. He just brought them to a screeching halt today. See, I’m of the belief that the Democrat Party, whoever it is that runs the Democrat Party now, or a majority of the Democrat base, simply does not want a white male as the nominee. But they also want to beat Trump, so when it comes down to it they’ll probably opt for that. But a white male, and the two white males that are leading the race are Crazy Bernie and Beto O’Rourke. Now, Beto, after his gigantic rollout last week, had his first 24 hours of fundraising and he didn’t tell anybody what it was. He refused to announce the figure, the dollar figure, and so people began to speculate, “Man, it must have been bad. It must have bombed out or else Beto would be out there pulleying it all over the place.” So Beto lets everybody think over the weekend that his rollout was a bomb, and then he announced today that in his first 24 hours he raised $6.1 million. Do you know what the expectation was? Since Kamala Harris raised somewhere in the neighborhood of one-and-a-half, anything above that would have been considered good. Crazy Bernie raised $5.9 million in his first 24 hours. So Beto came out, he smoked everybody while letting them think over the weekend that he may have fizzled. And so today Beto owns the news cycle. RUSH: The Beto O’Rourke headline. I’m just gonna go through the headlines here, all right? It’s the first thing I’m gonna do. They’re not in order. I haven’t put them in order. They’ve just… These are news stories out there. You know what this joke was? 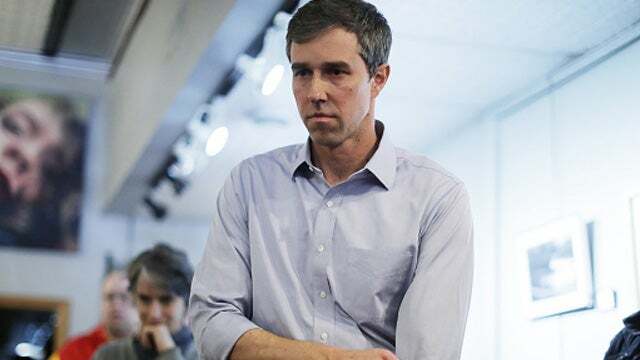 O’Rourke praised his wife for raising their kids without much help from him! And he was accused of blatant sexism and misogyny for this! He’s making a self-deprecating joke! It wasn’t that long ago this was a stereotypical joke, that men constantly praise their wives for their role in raising the kids, and Beto is admitting he didn’t have much to do with it and he’s in deep trouble or was in deep trouble because the way they see this comment is that Beto’s wife is a slave. Beto turned his wife into nothing more than a white slave. He’s a misogynist, he’s a sexist, he’s out there moving his life forward while his wife is doing the drudgery of raising the kids, and he was laughing about it. That’s how they saw it. So he had to apologize for this joke, which was a self-deprecating joke. It was a compliment to his wife. But these clowns don’t see it this way. And then he had to say: You’re right, you’re right, I have benefited from white privilege, damn right, I’m guilty. I used to be a white nationalist, but I’ve seen the light. Next headline: “O’Rourke Calls America’s Capitalist Economy ‘Racist.’” “Beto Says He’ll End Federal Death Penalty.” “Beto O’Rourke Apologizes For Writing Fictional Fantasies About Plowing Over Children With A Car.” Now, this is an interesting story in and of itself. There is this reporter for Reuters, and this reporter uncovered that Beto had been a member of a computer hacking group when he was younger and that he had written fantasy stories, and among the fantasy stories was running over kids and killing them with his car. Oh, you don’t believe it? Oh, there’s more than something wrong with this guy. There is a lot wrong with this guy, which is what makes him — well, see, I’m still not sure what’s going on. All of this news about O’Rourke, see, folks, I think the Democrats are the source of it. Because there’s a part of me, I just can’t see the Democrats, after all that we’ve heard about the past two years, nominating a white male as the nominee? Crazy Bernie, Beto O’Rourke, if they do that, do you realize how much — there’s already anger at Beto for getting in this because he’s a white male and the Democrats don’t need a white male. They’ve already got one, that’s Bernie, and they’re gonna take care of him again. The Democrat base has it in their head that the worst thing they could do would be to nominate a white male as their presidential candidate. Now the three front-runners are Joe Biden, Crazy Bernie, and this guy, Beto O’Rourke. Anyway, Reuters had the story, confirmed by Beto. The Reuters reporter had the story, he asked both about it, Beto confirmed it was true, this guy sat on the story all during the O’Rourke, Ted Cruz Senate campaign. It was embargoed. He said he was doing this because he was writing a book! This reporting that uncovered Beto having fantasies about running over kids with his car, he didn’t uncover that as part of his day job as a reporter of the news. He came across this as an author, and therefore he was within his rights to withhold the story ’til after the election for his book! And then he wrote the story. Came out last week. I forget the guy’s name at Reuters, but he’s come under a lot of vicious attacks by some. He’s getting praise — he’s not the first guy to learn things in a campaign and bury them for a book later, particularly embarrassing things. But when I saw this, folks, is when I first began to think that the source for this has to be Democrats who doesn’t want a white male as their nominee. It was Reuters, which is a left-wing news organization. They had the story. They had the details on — and, by the way, Beto’s fantasy about running over kids with his car is not the only thing embarrassing from those days. It was a murder mystery. It was a murder fantasy piece that Beto wrote where the narrator runs over children in the street with a car. And it was last Friday that Reuters published this piece revealing that Beto was a member of the hacking group Cult of the Dead Cow. And I think he’s saying this largely because of the experience with President Trump, a lot of things, like the Access Hollywood video didn’t damage Trump, so a lot of these presidential candidates are thinking that the old rules are dead and that all this stuff in your past as a candidate is not gonna hurt you anymore. I think they’re making a mistake because they still don’t understand why Trump was not held to account on those things. And let me just tell you, Beto O’Rourke is not Donald Trump. There’s a whole story here on how this Reuters reporter uncovered this story and sat on it. What’s this clown’s name, Joseph Menn, M-e-n-n. We’ve also learned that Beto has written poems. You know that Beto is a poet? I can’t read this poem to you. Daily Caller: Beto O'Rourke Apologizes for Writing Fictional Fantasies About Plowing Children Over With a Car.